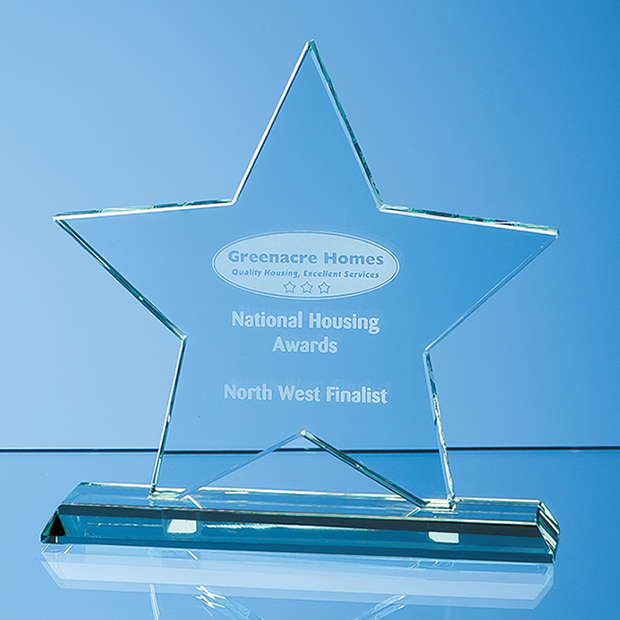 The 5 pointed regular shaped star award is made from premium jade glass, set on top for a shallow glass base. 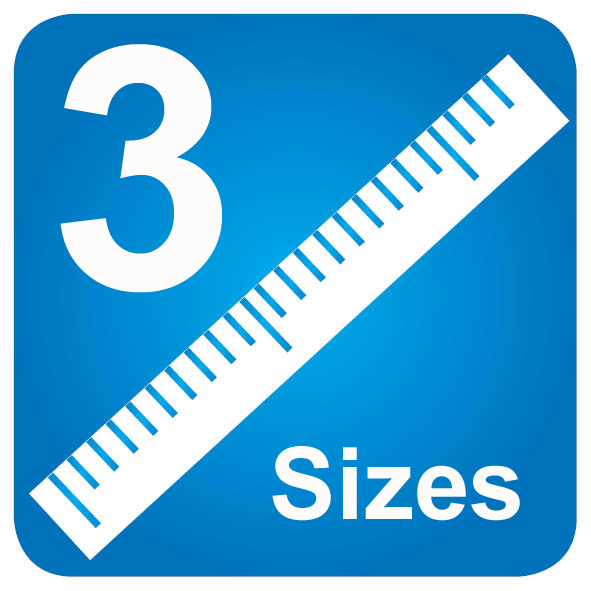 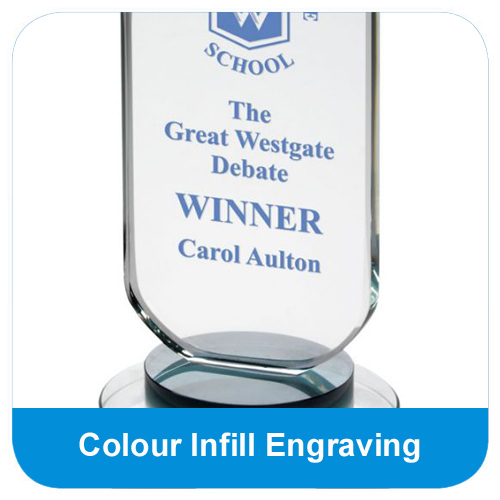 Available in a choice of 3 sizes, the face of the Mounted Jade Glass Star Award is perfect for personalised logo and text engraving, and is supplied in a premium presentation box, for a high quality and business appropriate finish. 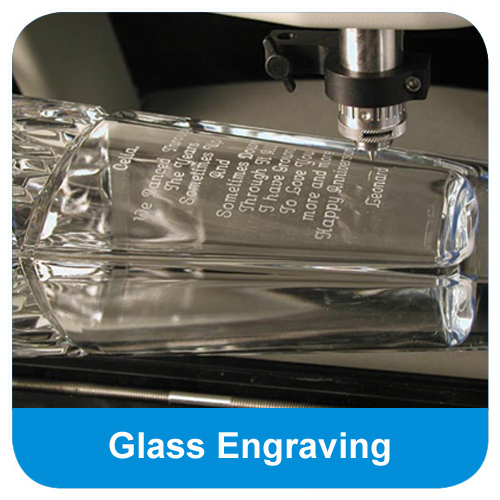 The Mounted Jade Glass Star Award can be purchased with or without personalised high quality engraving. 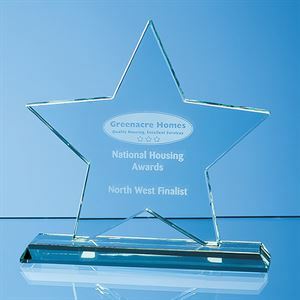 The Mounted Jade Glass Star Award is a high quality jade glass award cut in the shaped of a 5 pointed star, which can be personalised with text and logo engraving and colour infilled for a high contrast finish. 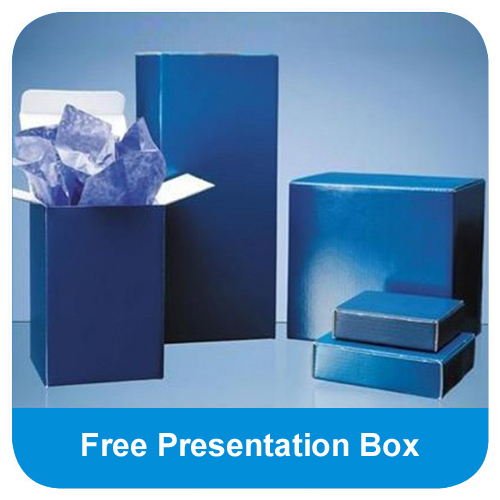 The Mounted Jade Glass Star Award is supplied in a presentation box.